The Refugio's work is possible only because of the amazing staff who cares for the children, makes them feel welcome and safe, and works every day on providing them with the much-needed love and care they deserve. 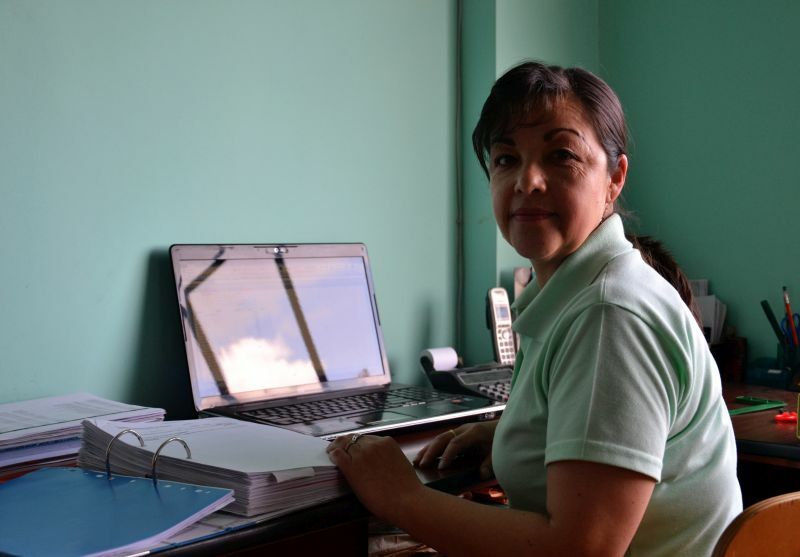 Sonia has worked for more than 30 years with the Foundation Niñez y Vida, the organization responsible for the Refugio. Apart from administrative work, Sonia spends a lot of time with the kids: she teaches them many practical things, helps them during lunch, dries their tears, and gives them lots of love and affection. Also, she makes sure that the children feel safe in the Refugio and that they comply with the rules. She prepares workshops for the children and their parents, coordinates the staff and maintains regular contact with the supporting foundations and organizations. What does the Refugio mean to you? Marlene Naranjo has been working at the Refugio for 18 years. One important part of her work is visiting the families of the children who come to the Refugio. She also keeps track of the children’s academic work and goes to talk to teachers, as the children’s parents are too often not really interested. Marlene also hands out school uniforms and other school materials purchased with donations, writes reports about each child’s development, and, of course, spends a lot of time with the kids, for example teaching them handicrafts or helping them with their homework. "The Refugio is my second home as well as my work place. What I have learned here during my 18 years of work has been very important for my personal life. The most important thing I have learned is to respect and love the people with whom I live and to see another way of life, without physical or emotional abuse. I come from a very abusive family; my mother physically and emotionally abused me since I was 6 years old. I have put into practice what I’ve learned in my own home, with my daughters and family members. Working with children and teenagers is what I love most, they fill my life with joy and peace, they are very sweet despite all the problems that they face. They know that we are there to help them. My co-workers are my friends, I love working with them because we treat each other with respect and care. Also, it is the source of my income, the way I support my daughters." 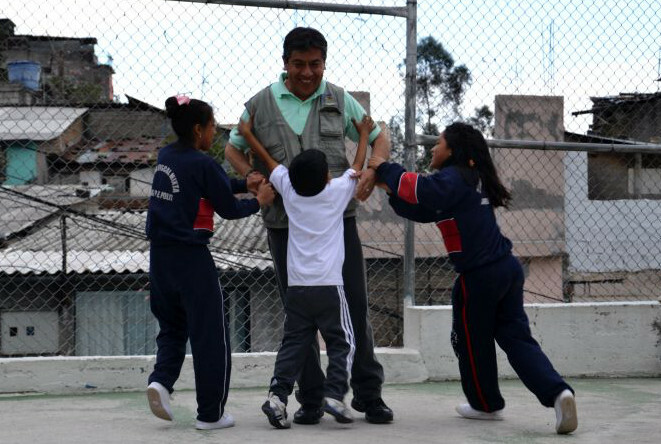 Rolando works directly with the kids, finding out if there are any abuse or violence problems in their families, or any other situations that affect them negatively. He tries to find solutions for the families, improving the children’s wellbeing and supporting their development. In a relaxed space, where rules and limits exist and love and unconditional respect prevail, the children learn what Good Treatment (buen trato) means. In the carpentry shop, Rolando teaches children how to create different objects, stimulating their imagination and developing their skills. He also assists in the other areas, and in the mornings usually does administrative work. Darwin himself “graduated” from the Refugio and has been working here since he finished his studies. 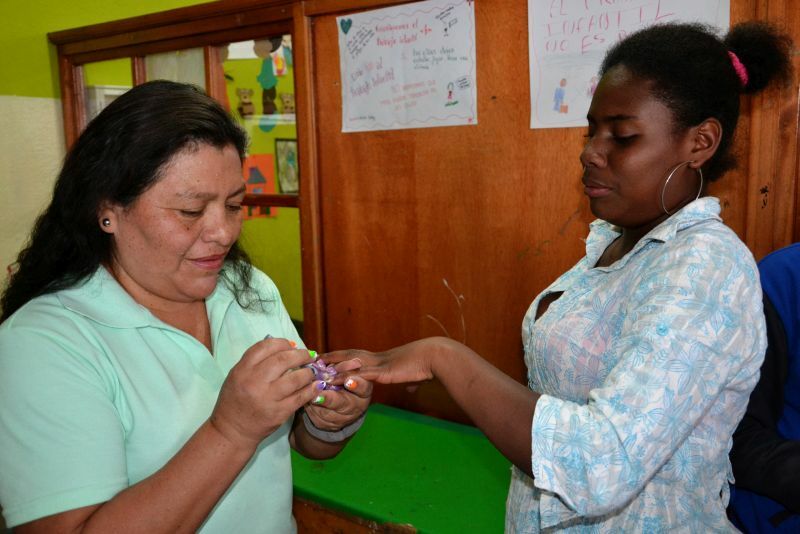 He works directly with the children, teaching them handicrafts, playing with them, helping them where they need help. Like everyone, he also does administrative work. "The Refugio de los Sueños for me is my whole life, it’s practically my second home. I have come here since I was six years old, from elementary to high school and university, and now as an educator. This is the place where the children and teenagers who, like me, come from dysfunctional families would love to live. We have fun, are treated well, and find people who listen. You can form your own opinions, learn, and eat healthy food." Marivel is in charge of everything to do with payments. She receives local donations and writes the receipts, pays the Refugio’s bills and makes sure the children get their school supplies. Of course she also supports the Refugio in its daily activities, helping out with the kids or cleaning. "I give thanks to God for my work in the Refugio, it’s my second home and the source of many great things. It has allowed me to share with the children and my colleagues joys and sadness, successes and failures and it has enabled me to develop my skills, mature and turn into a dynamic and active person. I work with enthusiasm each day and try to make the difficult become easy." 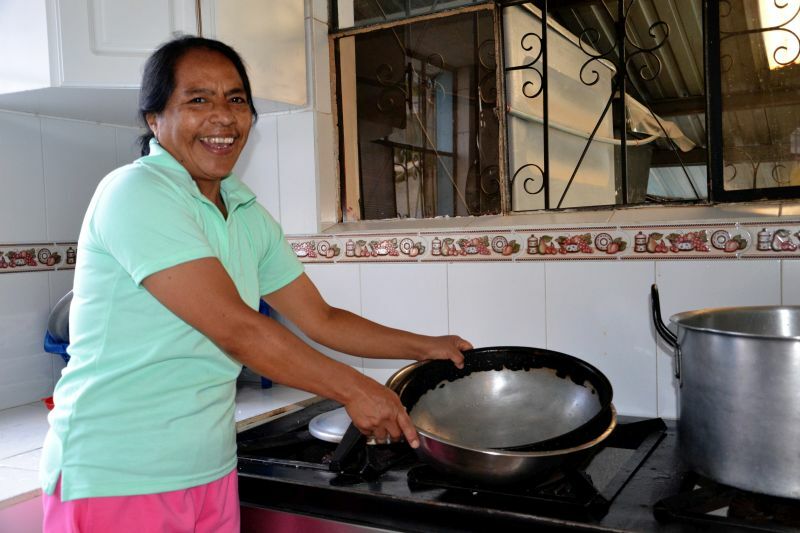 Lupita is in charge of the food at the Refugio: she plans the weekly menu, receives, counts and weighs the groceries. She prepares the children’s lunch with lots of love, making sure the food is healthy and the kitchen is clean. "For me the Refugio is a place where I feel good, where I enjoy working and preparing the food for the kids. I think a good diet is important for the children’s development. That’s why I try to do my best every day."